Comments: May contain some writng/highlighting. Used - Acceptable 2nd Edition Worn but functional. Choose EXPEDITED shipping for faster delivery! 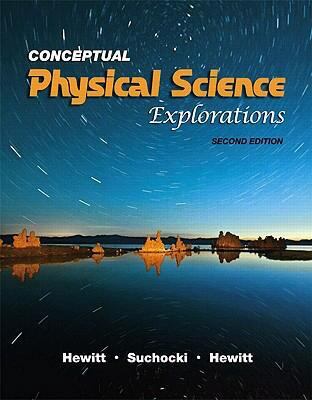 Paul G. Hewitt is the author of 'Conceptual Physical Science Explorations (2nd Edition)', published 2009 under ISBN 9780321567918 and ISBN 0321567919. Loading marketplace prices 198 copies from $26.49 How does the rental process work?